It's your vacation. Protect it. VacationGuard® delivers customized travel-protection plans that speak to your needs while providing worldwide emergency travel assistance 24/7/365. 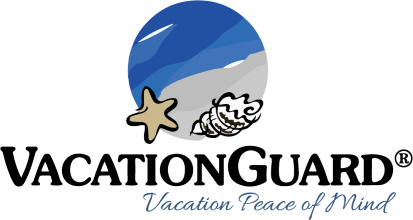 We are the #1 protection choice for timeshares and winter and summer resorts – but savvy vacationers love VacationGuard®, too. Most of our plans have no per-person rates or age rating. Our travel protection is simple and affordable … and it works! Claims are processed quickly and paid automatically, to an account you specify – even onto a debit card. Paperwork and the traditional hassles of travel insurance are kept to a minimum. We back our plans with a no-hassle, 21-day money-back guarantee (provided you haven’t traveled or filed a claim). VacationGuard® benefits are provided in association with Berkshire Hathaway Travel Protection, one of the most trusted names in travel insurance.